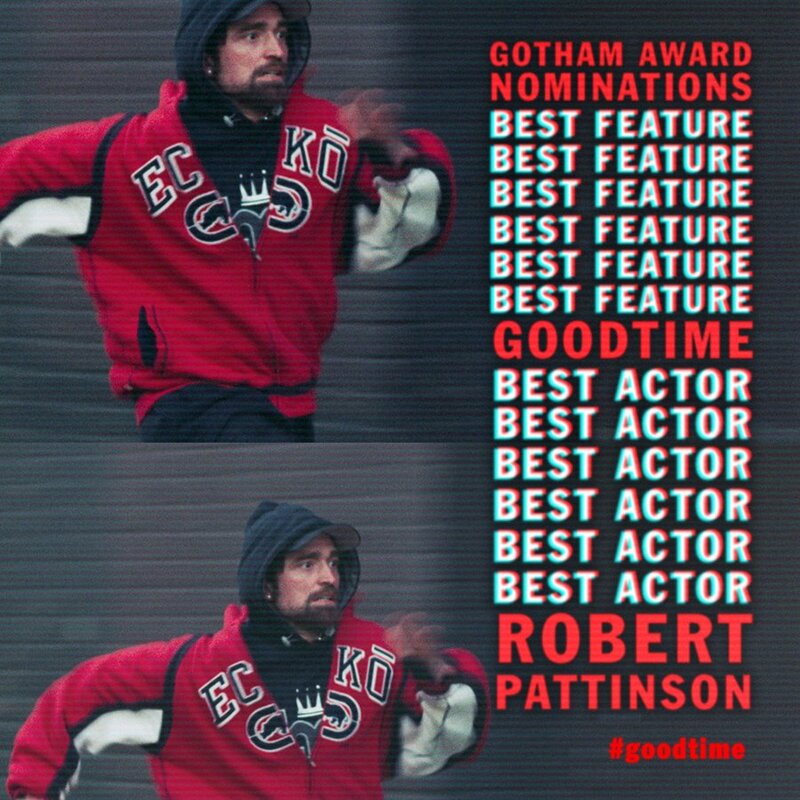 Robert has received a Gotham Awards “Best Actor” nomination from the Independent Filmmaker Project for his performance in “Good Time”. Additionally, “Good Time” has been nominated as “Best Feature”. Congrats to Rob and the Safdies on the well-earned recognition! The Gotham Awards ceremony will be held on November 27 at 8pm in New York,with an exclusive red carpet show begining at 6:15pm. The event will be streamed online. Isn’t this very cool. On ya Boys! Ooh go get em tiger! Woohoo for the Good Time Guys! Fingers crossed for them.